My campaign for a Memorial to be erected for the miners of the Summit. My campaign began in 1995 after seeing in the local newspaper that one was to be erected at Linby. I thought that the miners of the past from Summit should not be forgotten. After several months of writing letters to local newspapers and meetings with the local Council, I decided to get up a petition, still I got nowhere. In desperation I decided to write to the B.B.C. Speak out, not expecting an answer, I was surprised to be contacted by them and I appeared on Speak out in May 1999. The Council decided to build a Memorial wall with a plaque and mosaics depicting some aspect of mining. The wall is now built but to date there are no mosaics, it could be a wall for anything. As this book goes to press I have been asked to attend yet another meeting with the Council, I hope it is not another promise that will be broken. It has happened. Chris's campaign has finally worked, there is now a memorial. 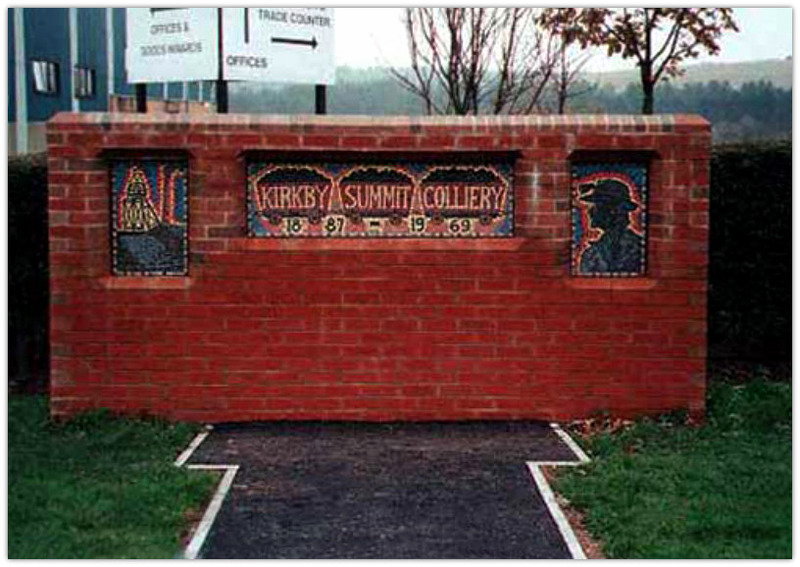 Here is the picture of the memorial to Summit Colliery, Kirkby-in-Ashfield, Nottinghamshire. 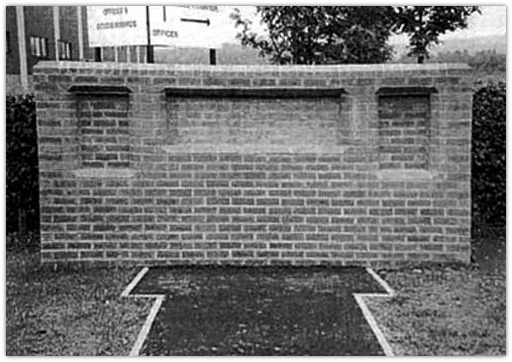 16 June 2007 - Hello Fionn, I just thought that I would tell you that the council have now erected a seat at the front of the Summit Memorial. I will try to send you a current photo.